chef « The Sporkful - It's not for foodies, it's for eaters. 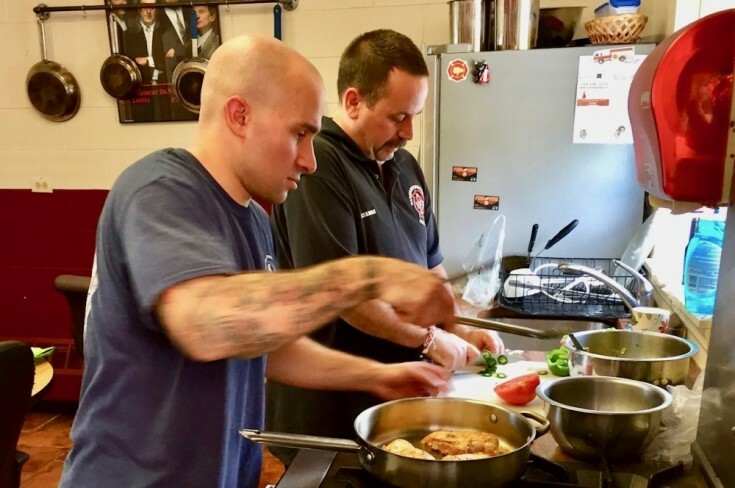 We follow a firefighter who moonlights as an upscale chef as he attempts to get lunch on the table at the firehouse on time. But can he get his crew mates to eat kale?